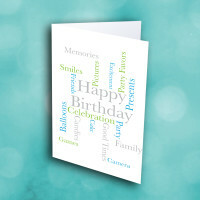 Send a card that speaks for itself, and reminds you of special memories together. 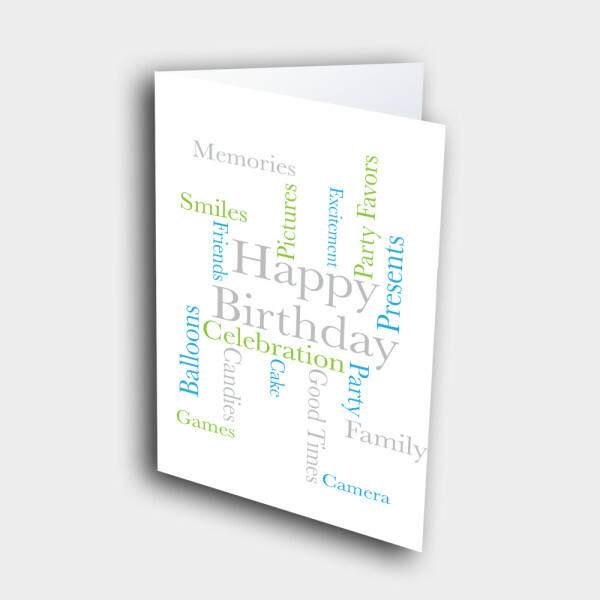 A simple, but meaningful card, to brighten up a special day. 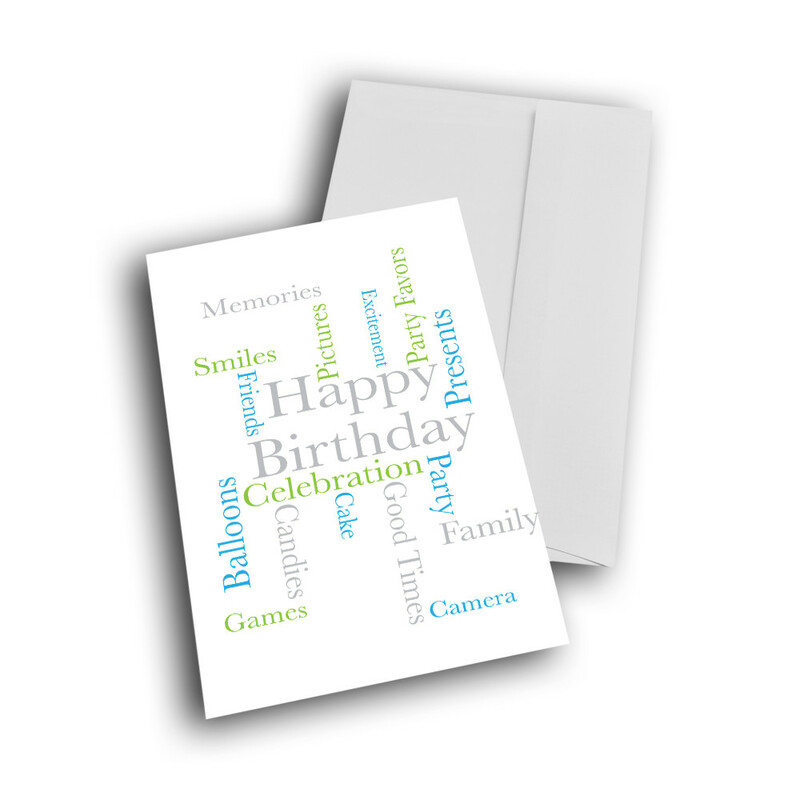 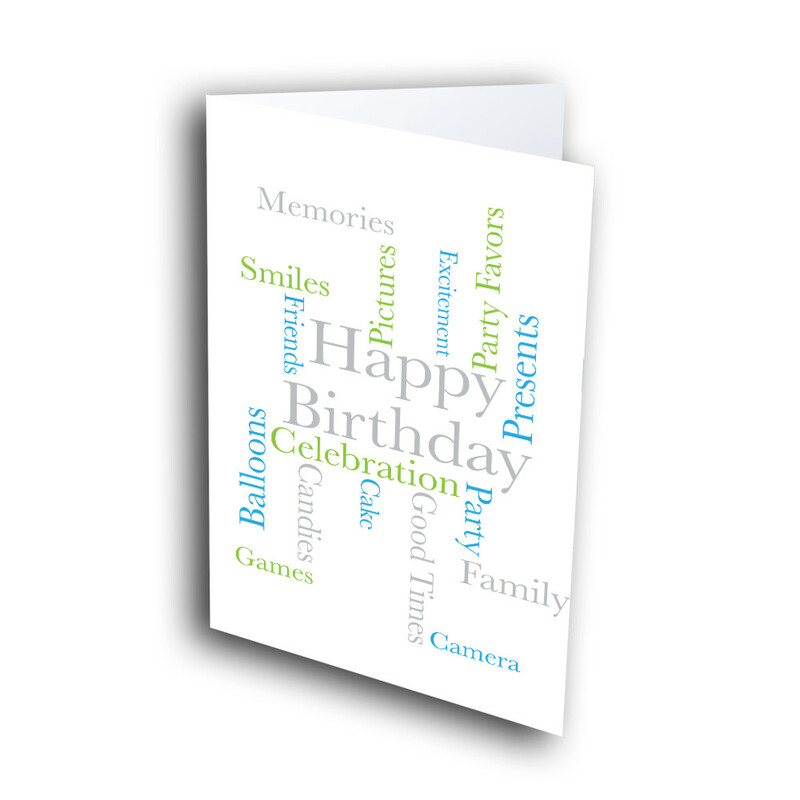 The simplistic design consists of the birthday greeting front and center, framed by other words- words conveying good memories and happiness. 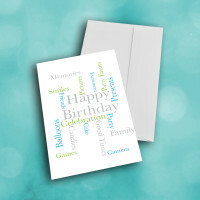 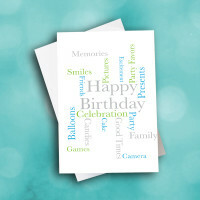 These words are artistically arranged and colored, creating an overall picture of the special relationship you share with the one recieving the birthday card. 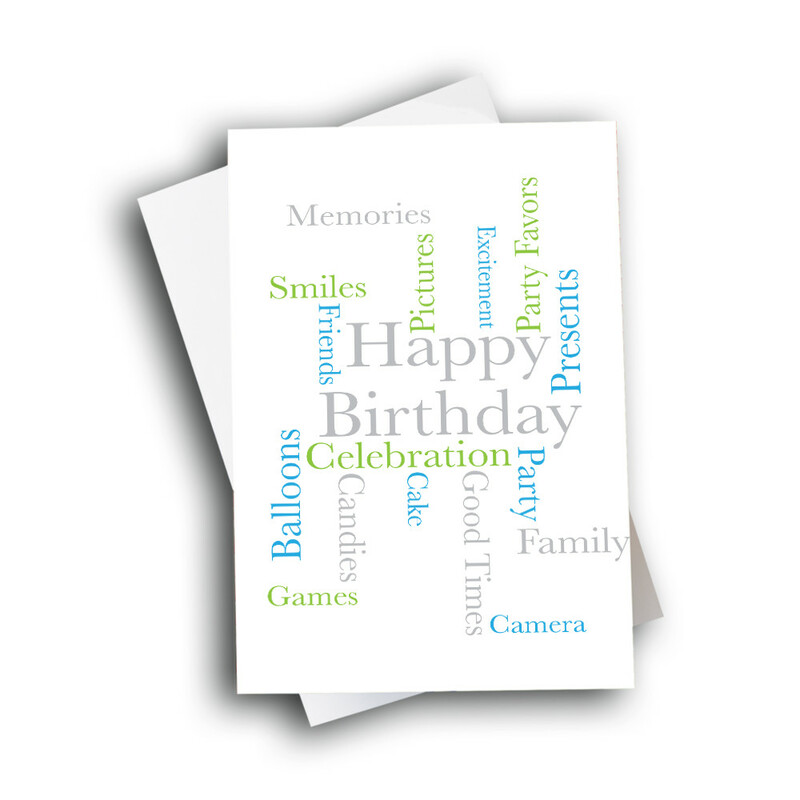 Customize your message inside to make the cards more personal and unique.